04262014_Pakistan_Becherer_007-copy: Global News Events: Global News Portfolio: New Orleans based Photojournalist covering the Deep South and beyond. PESHAWAR, PAKISTAN. 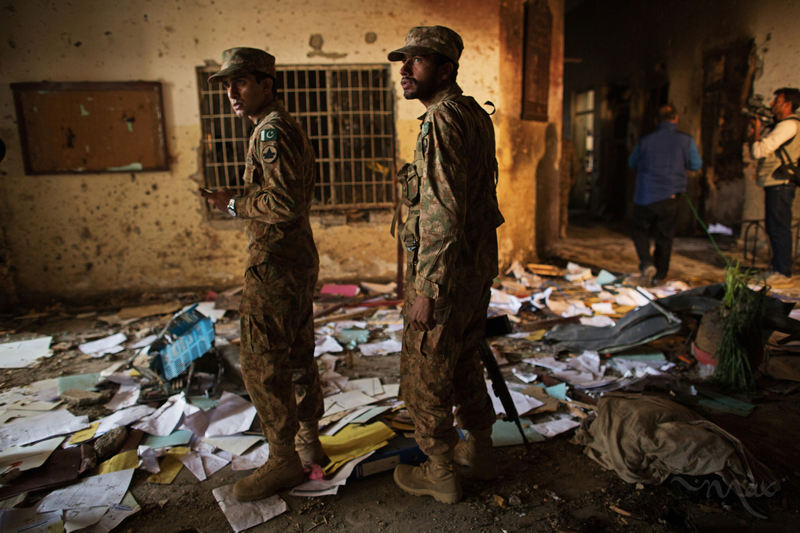 Pakistan Army soldiers inspect the damage done to the Army Public School and Degree College in Peshawar, Pakistan on Wednesday, December 17, 2014 where Taliban gunmen killed 150 people, many of them children, the day before. Empty bullet casings, pools of blood and personal belongings littered the floors.